*This is not a sponsored post. I was gifted the ASG Little Learner Pack to review. Do you have a child that just loves learning? I do. Information hungry, they pump you for answers and hit you hard with the dreaded “why” questions. When it comes to school, my eldest nanny charge is all over it. She’s the kind that does extra “homework” on school holidays and would rather do Mathletics on the computer on Saturday nights than watch a Disney movie with her sister. Miss 7, and now Miss 5, get plenty of education time. As their nanny, I strive to foster an environment for learning at all times. I create “school readiness” programs for kindergarteners and develop early learning activities to help the little ones. But being a nanny to three kids, two early primary age and a toddler, I’m busy. Between running errands, school drop offs and pick ups, toddler classes and meal prep, I don’t always have time to formulate my ideal lesson plans. The ASG Little Learner Pack has been my saving grace, and a sanity saver. Complete with a book collection, an educational edition Dr Seuss DVD, and access to an online hub of educational activities, we’ve had it covered. 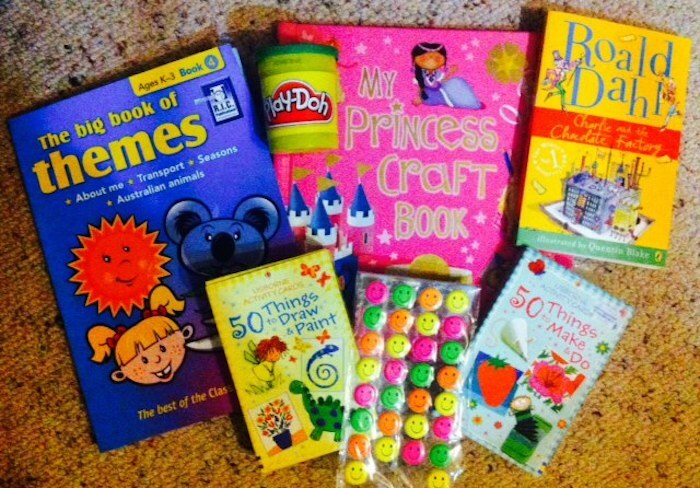 The stories are age appropriate and with a bit of adult assistance, both Miss 5 and 7 have been able to read them. Together we’ve enjoyed expanding on the stories, using them to create games and arts and crafts activities, and additional discussion points to further our learning and understanding. I was given ASG’s Little Learner Pack to road test recently, and it was a much enjoyed addition to our school readiness activities in the lead up to Miss 5 starting kindergarten this year. Perhaps the best part of the DVD was that it was so musical and catchy. The girls are big singers, so we had reinforced learning thrust upon us as they sang the theme song all day, for days on end. We’re big fans of Dr Seuss here in the nanny life. It’s the rhyming that gets us. So we were pleased to find in the books after we progressed from the DVD, that the theme had subtly continued. The set of five books have been developed based on the five foundations of the You Can Do It! Education program – organisation, persistence, resilience, confidence and getting along – to help children understand the important elements that are necessary for personal achievement and happiness. Aimed at children aged 3 to 6 years, I love that the topics within are challenging enough to spur Miss 5 to join her sister and hit me with the hard questions. The books invite her to think deeper about the story, the characters, their feelings and their reasoning behind their actions. A story about confidence, our favourite book in the set was “The Turning Point”, and received big applause from Miss 5. We learnt new words like “atrocious” and “hesitate”, and giggled sheepishly at the word “jerk” as it popped up unbidden and prompting a further discussion about how to use our “nice words” correctly. She was also pleased to learn that her independence was indeed a good thing, and that learning through discovery was definitely a viable option. The pack is fun and entertaining, light-hearted and simplistic, making it highly appealing for the targeted age demographic. However, its positive to see that there is a strong foundation of education beneath. Completing ASG’s Little Learner Pack together, we both really enjoyed the extra bonding time before she started school this year. ASG is committed to supporting children’s education – it’s all they do. 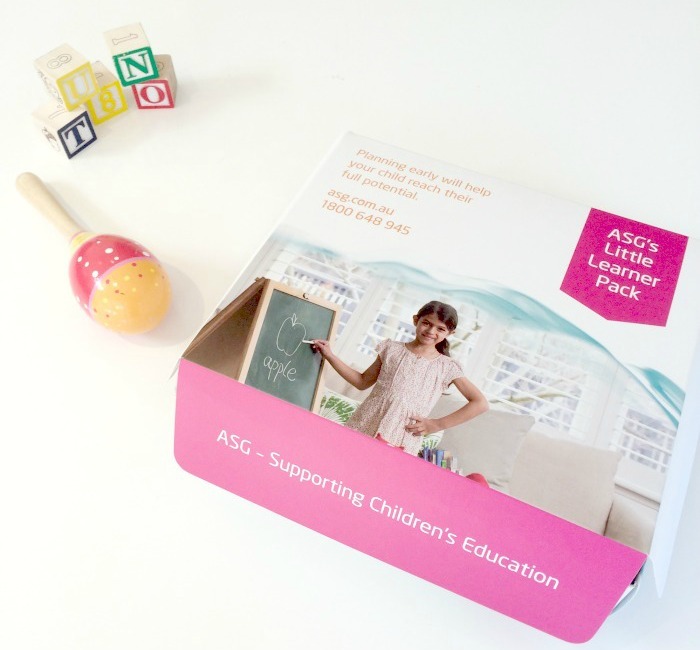 ASG’sLittle Learner Pack is their latest educational resource marketed to children aged three to six years of age, designed to help children develop socially and emotionally to ready them for the school environment. 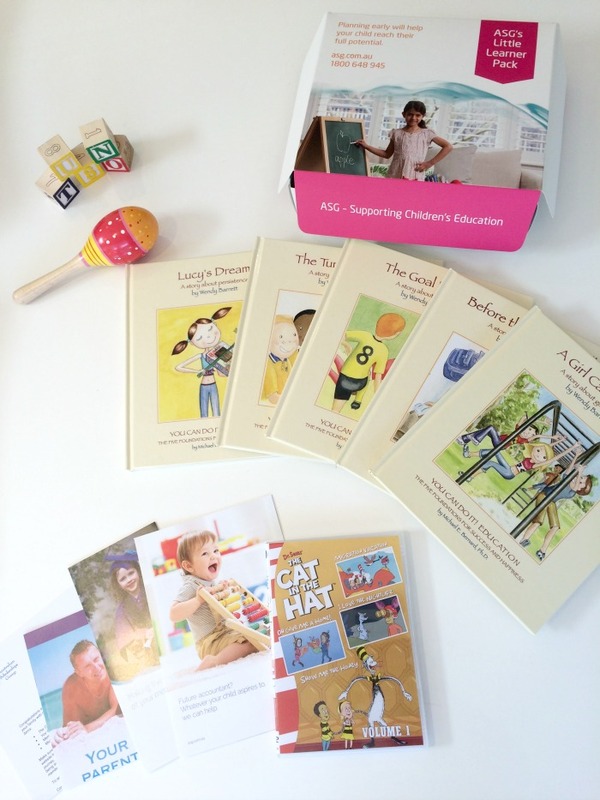 For nannies and parents that need some support to help craft learning activities for the early years, the ASG’s Little Learner Pack is the perfect assistant. >>> Do you craft educational activities for your kids? Now that the school year has resumed, our precious little ones are once again ensconced in the learning system. Which means they’re also bundled up into the social environment. Which means along with learning to share their toys, their book, their friends, and their favourite play equipment, they also begin to share their germs. And we all know, sickness loves company. 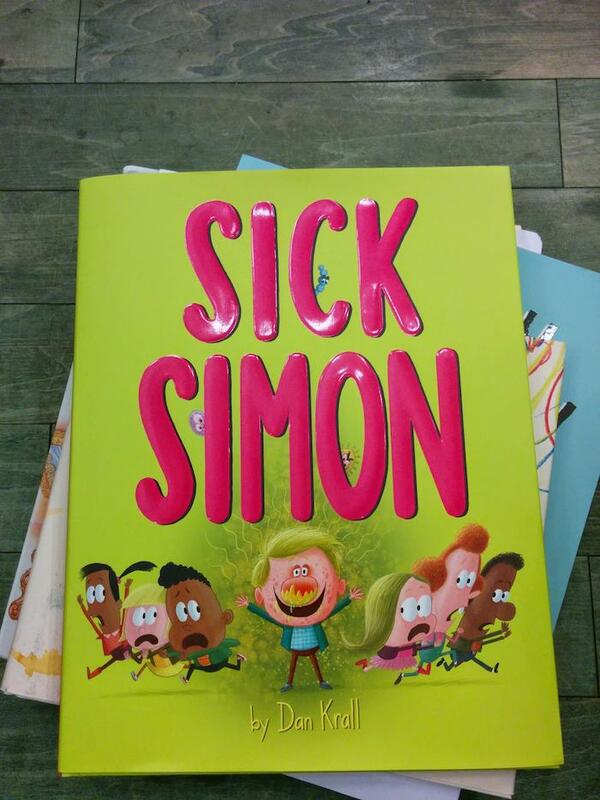 With the school year finding it’s rhythm here in Australia, and with our friends in the north experiencing more snow and cold weather than they know what to do with, our guest contributor Dana (@dapoppins) has reviewed Dan Kralls’ book Sick Simon. Sick Simon by Dan Krall is a timely read from the author-illustrator of The Great Lollipop Caper, introducing the idea of personal hygiene and invites children to learn how to be health conscious during cold and flu season. Sick Simon is not your typical bed time story. The gooey, pea soup, crud that poor Sick Simon deals with is the main theme of the Dan Krall’s story and his illustrations do a wonderful job of portraying what it feels like to be sick as well as what other people see when we are sick. I’m not sure I would read it at bedtime, but this is a story book worth sharing with the four and up crowd. Simon loves school so much that he attends classes even when he is sick. But he doesn’t go alone. Virus, Protozoa and bacteria go with him. Simon unwittingly shares these germy buddies everywhere he goes until one day they talk to him! Simon learns if he wants to get the most out of his day he needs to take care of himself as well as wash his hands, wipe his nose, and use a tissue. The cartoon style of the book, the pictures of Simon when he is sick as well as the depiction of the germs will give children a reason to start washing their hands and using a tissue. Sometimes it’s hard to explain what a germ is or how germs work, but this Dan Krall book makes it very clear and is a quick, enjoyable read. 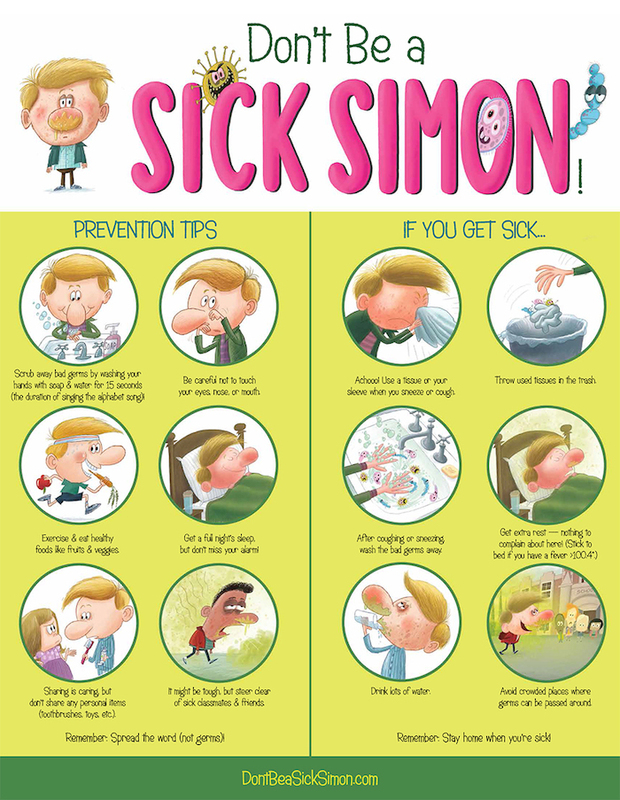 For more about Sick Simon Dan Krall, and to assist your children understand germs and personal hygiene, visit the Sick Simon website for to win a germ prevention kit, or download a germ busting activity kit for free. >>> Are you ready to combat the cold and flu season? *Sick Simon Dan Krall was not a sponsored post. All reviews are published at our discretion unless otherwise stated. Today on the nanny spotlight we’re so lucky to be chatting with professional nanny Reli Köbernick, a palliative paediatric carer turned nanny. Reli is from the beautiful Munich, Bavaria, and is a passionate world traveller now living in Sydney. Wow, you’re a paediatric nurse in palliative care! Tell us about that. I did my education in 2002 and since 2005 I dedicated myself to our most special kids in the world of nursing; disabled and palliative care children aged 0 – 21 years-old. When I lived in Munich I cared for children suffering from severe brain damage, and genetic defects and disorders such as apallic syndrome, leukodystrophy, muscle dystrophy, cerebral palsy, charge syndrome, phokomelie and trisomy. Most of my kids were palliative patients from birth onwards and hooked all day long into machines and monitors (respiratory machine support, feeding tube and so on). For them, we lived life as usual. On a normal weekday we would go to school for special needs children, then to swimming classes or picnics, day trips to the zoo, school camps and once even to Octoberfest! My favourite project is the Kinderhaus Atemreich in Munich. Some of the children in this video are my little heroes. You now work as a nanny with children with special needs correct? Yes! I previously worked full time for a little boy who was diagnosed with Autistic Spectrum Disorder, and as a casual nanny for a boy with Aspergers. I also did a live in position caring for a little boy who had a severe anaphylaxis nut allergy and needed an EpiPen. Currently I’m working full-time with two families. When I first started with them the twins were born premature and were tiny. 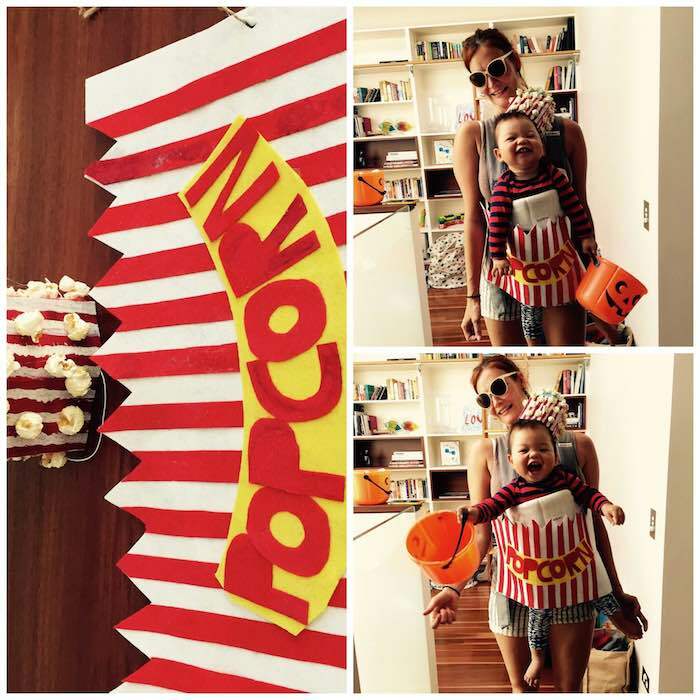 Now I love seeing them as healthy cheeky toddlers! My other little boy has had some health issues, and has food allergies to nuts and soy. He also suffers from extremely sensitive dermatitis and needs hydrocortisone creams and oral drops each day. I also work casually as a palliative paediatric carer for a young girl with leukodystrophy. I really enjoy the different challenges of nannying and nursing and I’m glad I can still utilise my nursing background here in Australia. Every child no matter what background, religion, or socioeconomic standing, should have the same start in life. How did you get into the nursing industry to begin with, and then working with kids? I always wanted to work with kids but couldn’t decide between nursing or becoming a preschool or kindergarten teacher. When I started my family social work training we had work placements in both kindergarten and hospital. It was then that I realised I could combine my love for both and be a Paediatric Nurse. Once I completed my studies I began working with my little heroes (link) and did my specialisation in palliative care. Do you find it challenging to work with a child who has severe anaphylaxis risks? Yes it is challenging! Every allergic reaction can end up in a life threatening situation. Not many people are aware that an allergic reaction can start with just a rush one day, and with an anaphylactic shock another. That’s why I really appreciate that nannies take action and learn about these risks and the handling of an EpiPen as part of their professional development. As nannies we have to be aware at all times, and a strict diet has high priority. We basically turn into nut free, egg free, dairy free, gluten free junkies who know the best vegan cafes. We become cooking and baking professionals and our nanny bags are full of special treats for our nanny kids so they never miss out on anything yummy. Any advice for nannies working with autistic children? 1. Always keep in mind to be cautious of over stimulating an autistic child. I’m also a big fan of this video and always recommend it to people who are about to begin working with an autistic child. 2. Children with autism do progress. Early intervention is the key. If you’re after a centre, ABA Therapy at The Lizard Centre in Hunters Hill is my recommendation for Sydney residents. 3. Autism varies from person to person, no two children are alike. 4. Children typically have difficulties in verbal and non-verbal communication, social interactions and leisure or play activities. Awareness about this will help you and your child to interact with each other. Remind yourself to stay calm in difficult situations, don’t pressure the child, and be on eye level with the child when you talk with them. Do you think nannies should have more health + wellness knowledge than the standard First Aid Care certificate? I believe a good, well rounded knowledge across all areas is important. Basic cooking skills and to be able to prepare healthy nutritious foods are essential. Natural and homeopathic knowledge such as the use of fennel seed oil or tea for windy days, arnica buise cream for clumsy accidents and baby massage is alway a bonus. Just remember to always ask the children’s parents first before applying these methods. Plus, anaphylaxis and asthma training should be a uniform requirement across the board for all nannies due to rising health issues. The biggest challenges you’ve faced during your nanny career? My biggest challenge is always the last goodbye with my nanny kids. It’s hard to move on but I try my best to stay in contact with them and watch how they grow and develop. I always organise special days or try to go to birthdays. School events like the christmas carols when my little autistic boy was dressed up as a wise man and sang in front of the audience is one of my special memories. I’m so proud of his personal developments that he achieved during the year of ABA therapy. What’s your take on the nanny industry and community? The nanny industry here in Australia is definitely more developed than in Germany. The nanny agencies in Sydney are very professional in what they do and take good care of their nannies. I’m also really enjoying being a member of some nanny specific Facebook groups and like the Australian Nanny Association Facebook page. The support on these sites is great and very helpful. 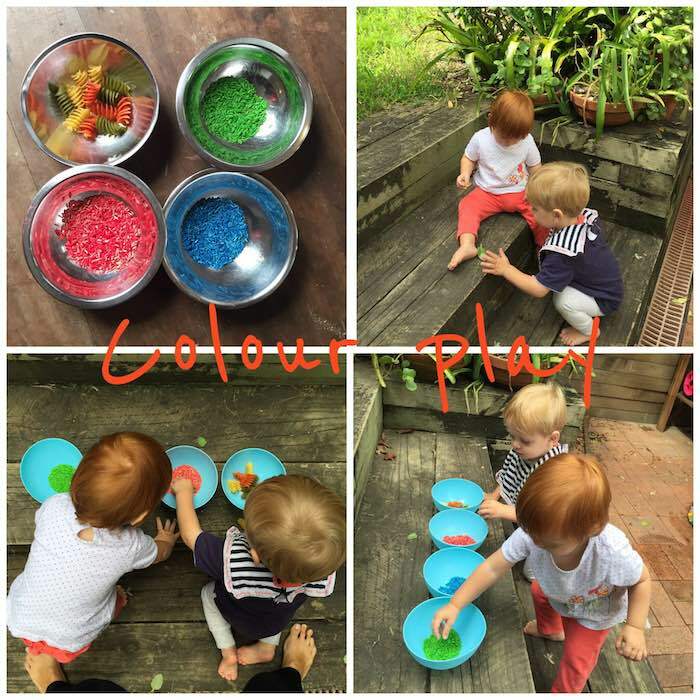 I regularly meet many genuine, professional nannies via these groups and we have regular play dates and get the opportunity to learn from each other. How would you like to see the industry evolve? What was it like travelling with children with special needs? Three words: fun, challenging, exhausting. When I went to Fiji with a 2.5year old anaphylactic and an 8-month-old baby, these words summed it up. We had lots of fun together in a 5 star private villa. On my first business class flight the little one soaked my seat with orange juice in the first 5 minutes and once we were in the air he vomited all over me. Note to self: always have a spare change of clothes in carry-on luggage! From splashing in the pool, building sandcastles and exploring the nature and wilderness of Fiji, to toddler tantrums in luxurious restaurants, it was adventurous and educational experience. I had a great time, but my top tip is to make sure you’re 110% organised and ready for the change of routine. Where would we find you on a typical Saturday morning? 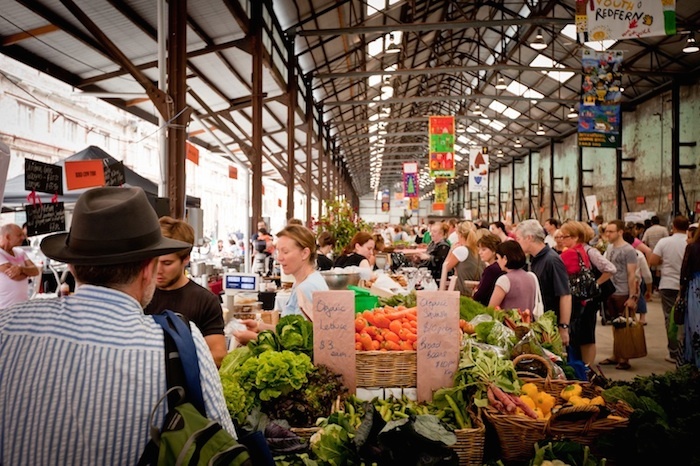 Eveleigh Markets in Redfern! I love my local organic market where I have my coffee and an almond croissant before I buy my veggie groceries and other handmade naughty goodies like the salted caramel creme. Favourite thing to do with kids whilst out and about? We love the park and play dates! Nothing is better than exploring nature and a walk to the park, having a swing, climbing and slides with friends before a yummy picnic where we get messy with our favourite hummus dip and fruit salad. Favourite shop for tools of the trade in the nanny life? I love the Infancy in Rozelle and dollar stores to pick up art and craft supplies. 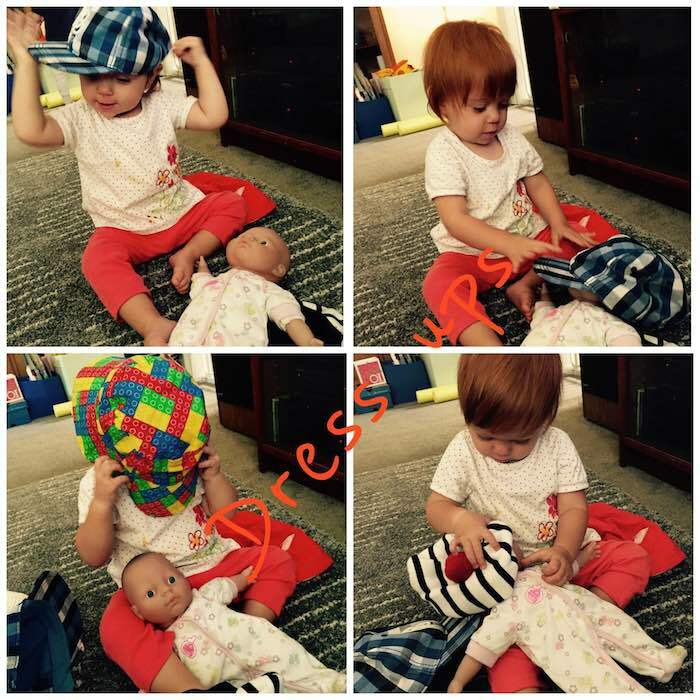 I also order online at tinyme, Classic Baby and Melissa and Doug. Can you recommend a super kid friendly café that caters to both little tastes and big tastes? I enjoy About Life shop & café in Rozelle. Spacious with high chairs and organic food. Everyone loves yummy smoothies! Where do you go for ideas and activities to do with the kids? 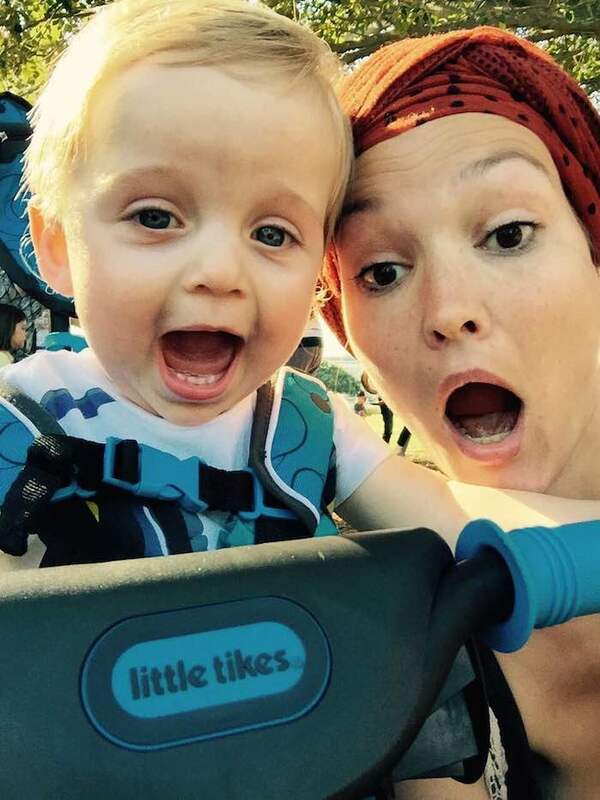 Happy Hooligans, Quirky Momma, Infancy and Google. Next up on the list of your “big target goals”? I’m getting ready to commence a Postnatal Care/non-medical Maternity Nursing course to stay up to date and to gain more experience in sleep consultancy. My newest little project is #inspirehealthyliving where I help people to get into a healthier lifestyle. The world is my playground but India is my secret home. I will have traveled the world with my partner and volunteered to help many more children. I will still be the same fun Reli just with a bit more wisdom to teach to my nanny kids and will live somewhere in the bush in Queensland. What would you say to a young new-to-the-industry nanny? Believe in yourself, never stand still in your education, and live your dream. >>> Have you worked with children that require nursing care? 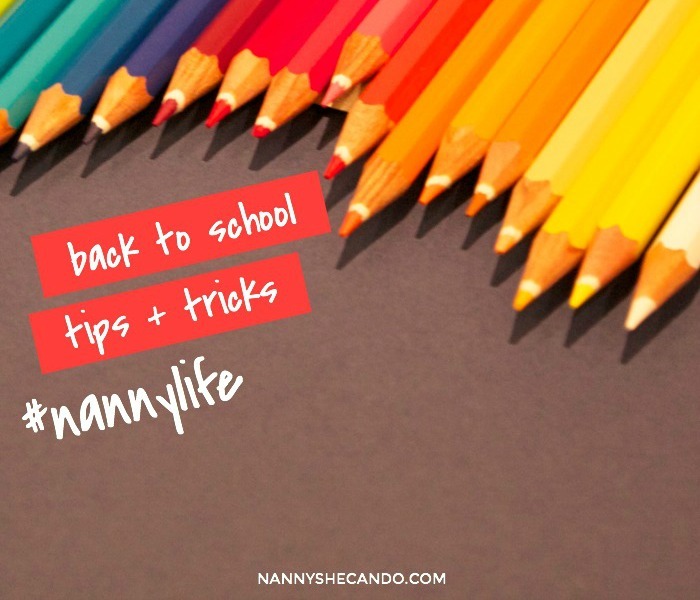 If you’re working with a school aged child or your little one is about to start school (my middle child is starting kindergarten this week, exciting), these 10 back to school tips will ensure you stay organised for the school year. You can expect that MB has already been through this with the kids. They’ve done the morning routine and the mad dash to school only to forget a lunch box or a school hat! But it’s also important for you to go through the process with the children. Because even if MB is taking Miss 5 to school on the first day, chances are you’ll be doing the rest of the school drop offs. Ensure that your nanny child understands that you’ll be doing it sometimes as well as mummy and that it’ll be just as good! If your nanny kids are old enough and comfortable to be dropped off, agree on a usual place so that they always know where to find you. If some days you’ll be driving your car and others the nanny car, make sure the kids know how to recognise them. Or if you’re still walking into school to collect like I am, decide on a meeting spot within the pick up area so that they don’t have too much trouble trying to find you amongst a group of other adults. Most teachers will appreciate it if you make the effort to introduce yourself to them. Explain that you’re the child’s nanny or carer and that you’ll be picking up the kids most days if not all days. This way even if you’ve already given the school the paperwork authorising you to collect, the teacher will be able to put a face to the name. Plus, with an introduction, you’ve got a segue to chat with the teacher about how your nanny child is settling in to school, and they’ll know who you are when you sign your kids homework diary and readers. Often times the parents register the children into school enrolment and their contacts go into the database. But if you’re the one who’s going to be collecting an ill child from the school sick bay or calling to advise that your nanny child won’t be at school, make sure your details are in the database too. That way the school can have you as first point of contact and direct communication without delays. Tip: join the school newsletter mailing list. If your employers are like mine, they’ll yell out to you that it’s “no rubbish lunch box day” or “Super Hero dress up day” as they run out the door in the morning. Ensure you’re always in the loop by accessing the information first hand. If you’ve got children starting school for the first time, chances are you might have a few teething problems in the beginning. If you’ve got a good understanding and vision of the school setup, you can help to transition the kids at home after school hours. Simulate a school environment at home to play games and do homework to help your nanny kids adjust easier in a comfortable and secure environment. Tip: I discovered a brilliant new kids app recently for iOS devices. Bizzi Brains have created an app to help your kindergarteners or prep kids settle into school. 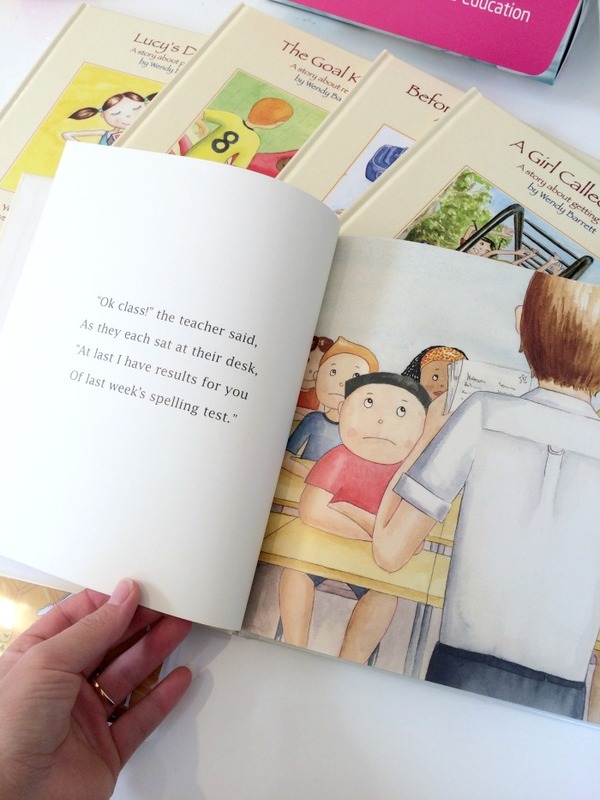 “I Learn” will have your child ready to make the most of school. During the game they’ll need to pick up pencils and books to put them away such as they would have to do in the classroom, and at lunch times they find themselves in a social setting with other kids. You can even insert your own faces to overlay the girl or boy, the parents and the teacher within the game. You can find I Learn in the app store. I’ll admit, school drop offs and pick ups are not my favourite. I spend the time uncomfortably on my phone not really connecting with the mother cliques. But if you can take the plunge and muscle in on that mums group, playdates will be much easier to organise! Tip: make a list of mums/carers names, phone numbers, address, and the corresponding kids names so that playdates, school sport, and extra curricular activities can be easily planned. Does your fridge overflow with school notes? Keep a folder for each child easily accessible in the kitchen or study to pop their school info into. I use a ringed binder with plastic sleeve inserts. I store all of the notes they bring home, excursion details, a copy of the school uniform policy, school contact info, teacher outlines, homework diaries, lesson outlines and key term dates. I also store school receipts and school fee info. That way the information can be easily found and categorised during the school year and you’ll never forget an excursion or sports day! For a lot of nannies, family and household management plays a big part. Particularly if you work for large busy families. Keeping track of their whereabouts, events, meetings, and school functions can make or break a household during the school year. I love these large family calendars from Kikki.K. Each family member gets a column and their activity gets written down. Tip: if you’ve got nanny parents that work long hours or do lots of travel, this is a way for them to glance at the calendar and easily know what their children are up to. It’s hard enough getting kids out the door with their lunch and clean teeth without having to remember what day is library day, which day is sports uniform day, and which is homework day. Familiarise yourself with the daily school requirements and pop a reminder into your phone calendar and the family planner calendar. Tip: I like to scan the day’s events in the morning from my phone calendar just before I arrive so that I can hit the ground running and not forget that overdue library book. Ok so this is my special little secret that I’m sharing with you. It sounds simple. It is simple. Make the school lunches the night before. Either whilst you’re un-packing bags and making afternoon tea, or whilst making dinner, prepare the lunch box and pop in the fridge for the morning. But won’t the sandwiches go soggy? We do a Bento Box style lunch box and 95% can be prepared in advance, leaving time to quickly chop some fruit and cut a sandwich in the morning. Now if you’re well prepared, and have tag teamed with MB to ensure that your nanny child is ready for school, you should be set for the first day. 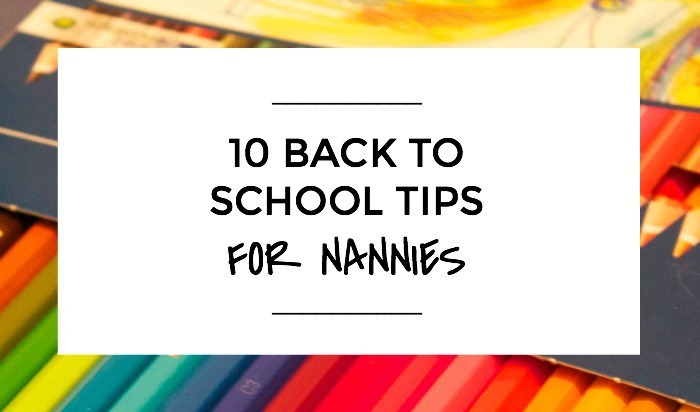 But in order to survive not just the first day, but the rest of the year with ease, these 10 back to school tips will help you transition the family household into the school year. >>> Are you ready to go back to school this week? 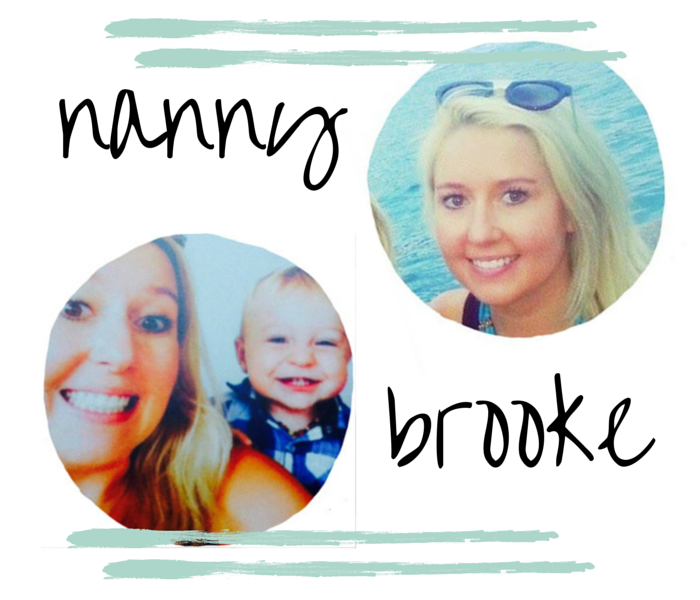 In today’s episode of the Nanny Spotlight Column, we’re talking with Brooke Nelson – a now Sydney, AUS based professional nanny. 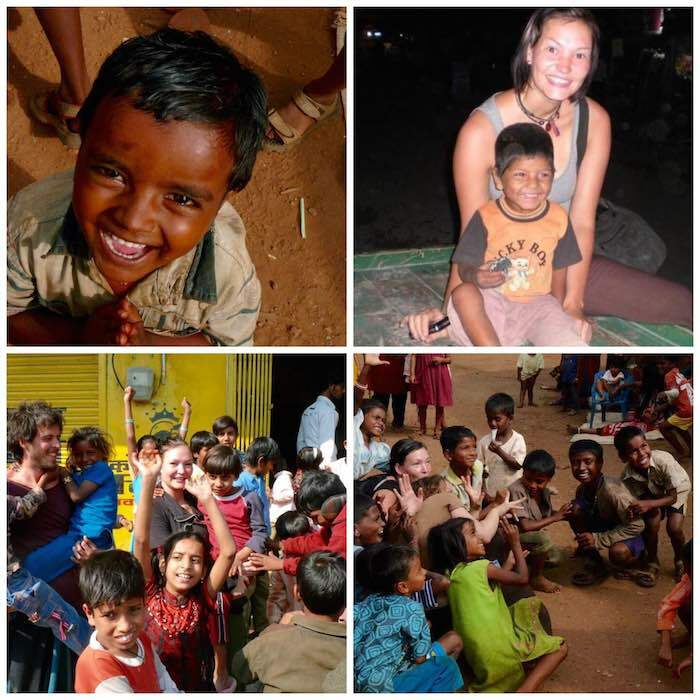 With a background in early childhood and education, and truly life changing experiences working overseas as a travel nanny, Brooke shares her experiences with us. Fun, enthusiastic, loving, dedicated, dynamic! You have a background in early childhood development, tell us about that. Working with children was something I always knew I wanted to do. I studied my Certificate III in Children’s Services while I was still at High School. I then went on to do my Bachelor in Primary Education. So you’re also a teacher? I have worked as a Primary School Teacher (K-6) in Bathurst and Sydney and studied at Charles Sturt University in Bathurst. Is there a particular reason why you’re currently working full-time as a nanny and not as a teacher? Moving from the country to the city meant more opportunities. When I moved to Sydney I discovered nannying and fell in love with it! It allows me to still follow my dream of teaching and caring for children but in a more informal and relaxed environment. I find nannying such a rewarding career, as I am able to make more of an impact on children’s growth and development through the individualised attention nannying allows. I also love the close relationship you build with the children; you often feel like you become another member of their family! Because of this experience, do you feel you can better understand the role of a nanny and the key importance they bring to in-home childcare management? Yes, nannies can make a big difference to children and their early development. I have found tutoring in preparation for school is highly beneficial to the children, and it really boosts their confidence. 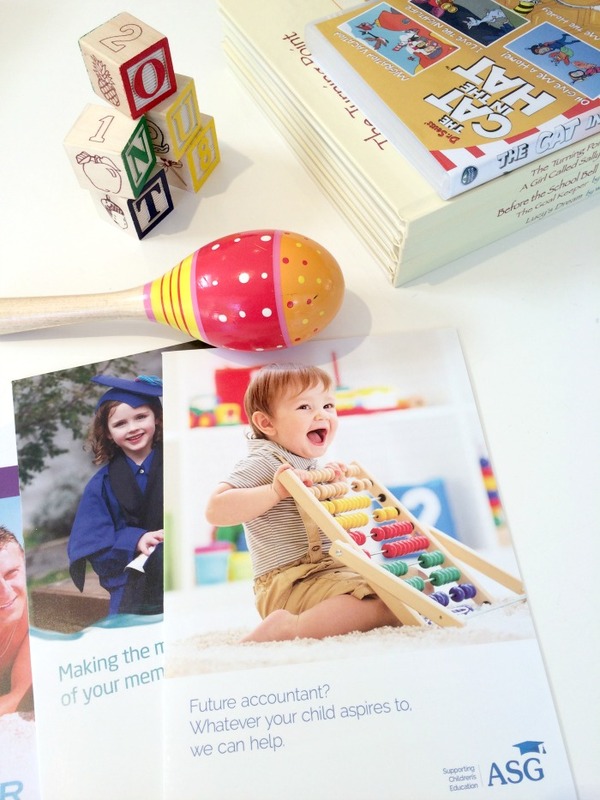 Do you like to bring in the early education aspect to your daily nanny work? In the past I have tutored some of the children I nanny for, so have developed programs of work for them. However, mostly I find a lot of informal lessons take place- children are naturally inquisitive about the world, which usually leads to us doing different activities based on their interest at that time. For instance, we’ll read books, do some baking, role-play, have some outside adventures and some arts and crafts, all based on a certain topic. I also like to keep a diary of what we have done in the day, as well as emailing photos to the parents of the fun we have had. What are some of the biggest challenges you’ve faced, or face, during your nanny career? Leaving a job after becoming so close with the children is always difficult. Thankfully I have managed to keep in touch with most families I have worked for. It’s amazing catching up with old families and seeing how much the children have grown! The Nanny industry is gradually developing in Australia. It is great to have support groups such as the Australian Nanny Association and the various nanny agencies out there. I have found there to be an amazing, supportive and friendly nanny community in Sydney, which makes the job so much more enjoyable. There is big potential for the nanny industry to evolve in Australia, and I am looking forward to it becoming regulated in all areas so that we are always provided with fair conditions and the career is given more credibility. Tell us about being a nanny overseas! Nannying overseas was an absolutely amazing experience! 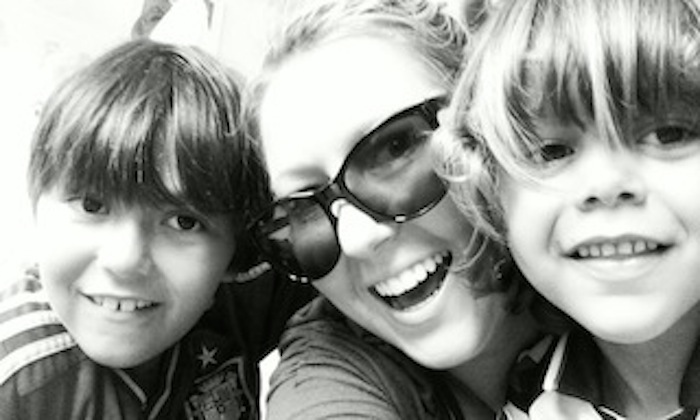 First I was a summer au pair in Spain, where I nannied and taught English to two boys. Living with the family was the best way of experiencing the Spanish culture, as well as expanding my Spanish vocabulary. It was a massive culture shock for me, as there were not many English speakers in the village, however I enjoyed the challenge and gained so much from the experience! Afterwards I moved on to the hustle and bustle of London, and nannied for two gorgeous little English boys. London has a great nanny community and I made some really lovely friends who made the role even more enjoyable. 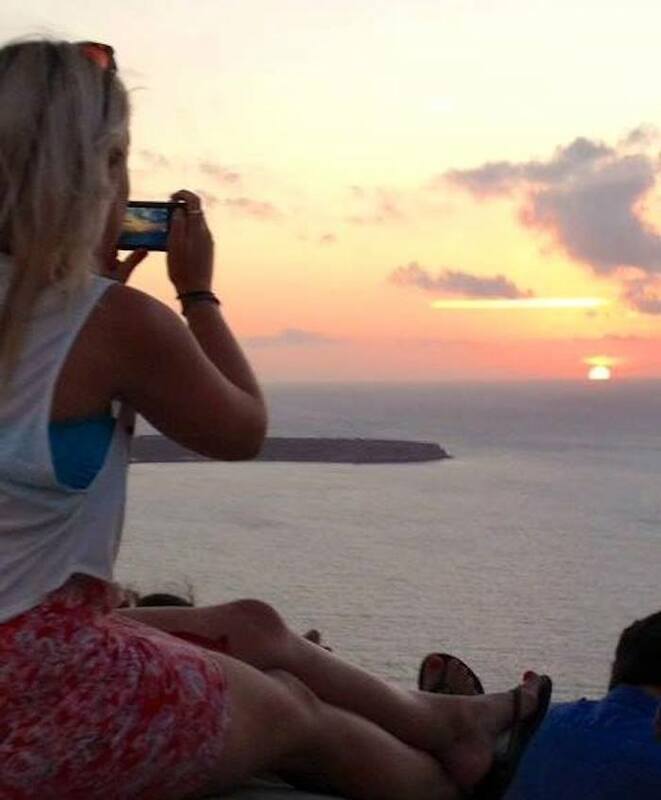 While living in Spain and England I had the opportunity to travel all around Europe and had the most amazing adventures! 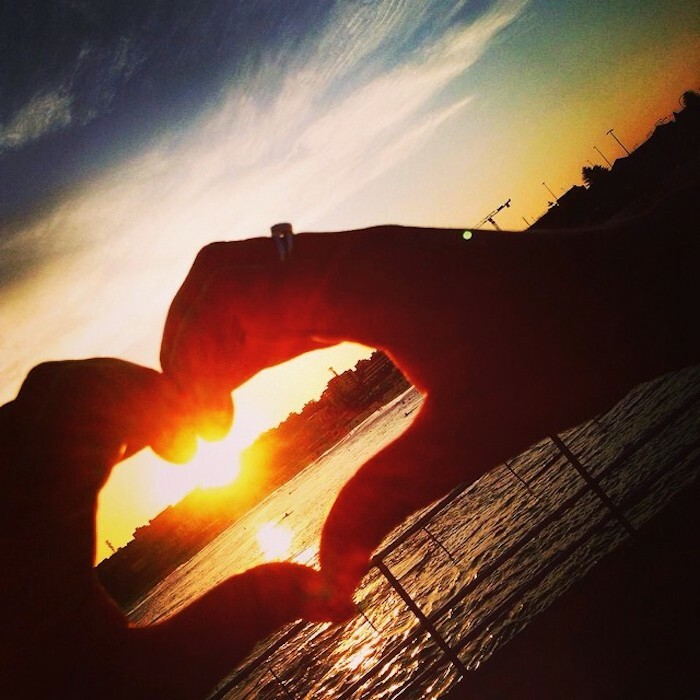 Living and working overseas was the time of my life and I would recommend it to everyone! Doing the coastal walk Coogee to Clovelly. I love living in the Eastern Suburbs! What’s your favourite thing to do with kids whilst out and about? Beach days are always fun – going for a swim, building sand castles, eating icy poles, singing silly songs. 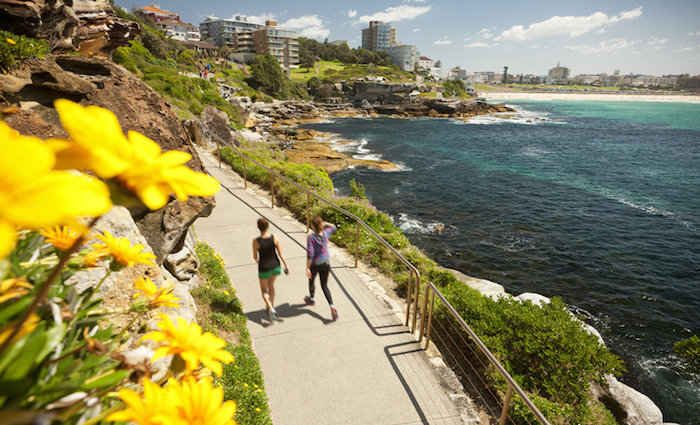 Sydney is an amazing place to be a nanny! 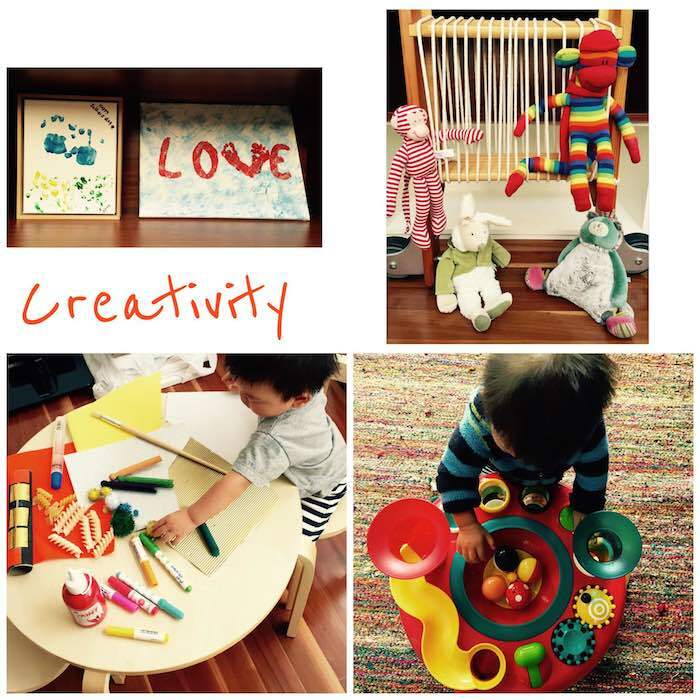 Do you have a favourite shop for tools of the trade in the nanny life? I like getting creative with the kids and going to the art and craft shops like Riot, Eckersley’s and Spotlight. 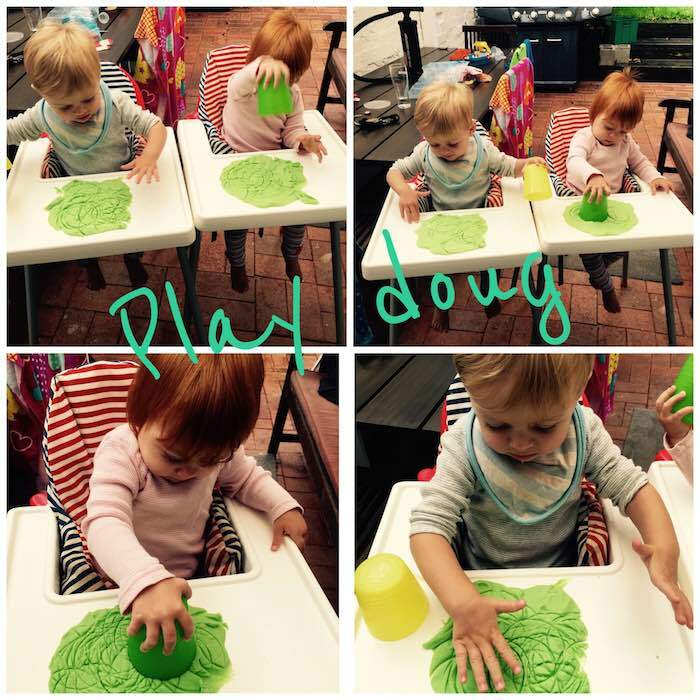 Melonhead in Coogee is great as it has a variety of different fresh juices and smoothies that the kids love. What’s next up on the list of your “big target goals”? The youngest of the two beautiful girls I nanny for is off to school this year, so my next goal is to get a new fabulous nanny role! What’s the best thing about what you do? Nannying is more than just a job to me. Bonding with the children, seeing them learn and grow, and their little personalities develop is a really special experience. Turkey! 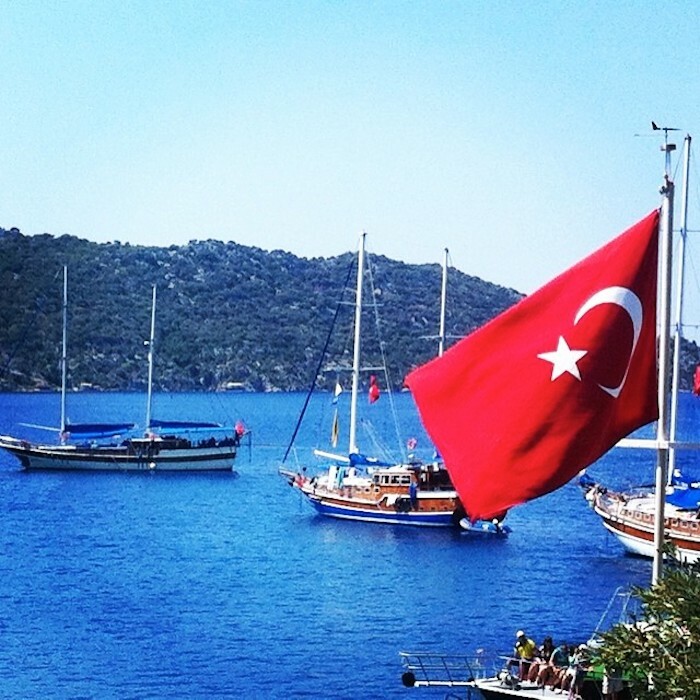 Istanbul is a magical city, and the Turkish south coast is a dream to sail. Hawaii and the Greek Islands are also favourites! 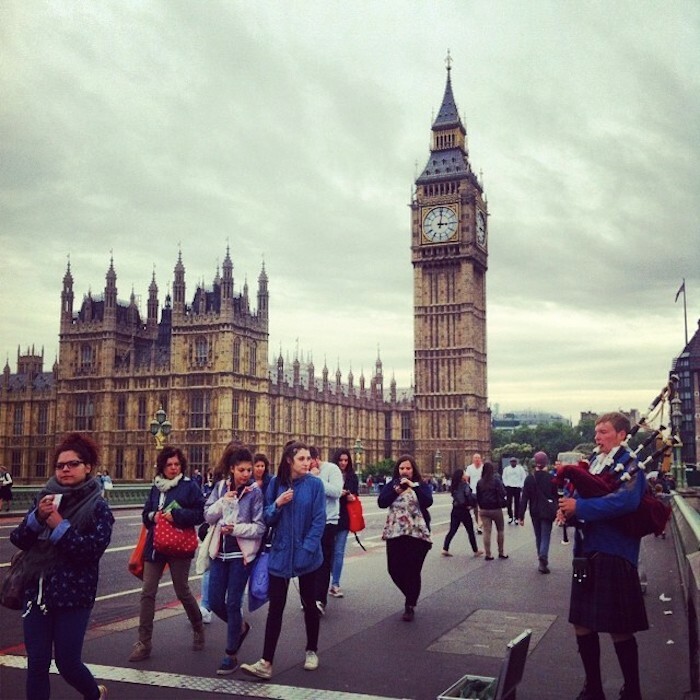 Travelling the world as a Travel Nanny, an ESL Teacher in Asia, or settled in Sydney with a great Nanny or Teaching role (and travelling often!) I am an adventurer at heart! What would you say to a young new-to-the-industry nanny? Any hot career tips? Smile and stay positive! Never stop learning and improving yourself as a nanny. Nannying has its challenges, but overall, the role is so incredibly rewarding! >>> Would you consider being a travel nanny?